This season’s Dinner Theater Production will be play called “Sagebrush Sidekicks.” It is a western themed comedy involving finding a new sidekick for a cowboy movie hero. 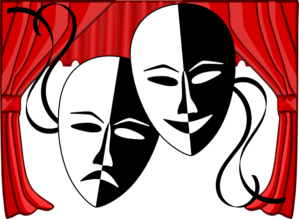 Dinner theater performance will be Sunday, March 5, at 5:00 p.m. The matinee will be on Tuesday, March 7, at 2:00 p.m. Co-directors are Marcia Fabricius and Sherrye Elkins. Western-themed dress for audience members is optional.